'Puffle' is the name given to the popular Hong Kong street food, the Egg Waffle. More commonly referred to as 'Egglet' in Hong Kong because of its Cantonese name, 雞蛋仔, it has a crisp crust with moist core in each of the ball-like puffs. I don't know about you but the word "Puffle" makes me think of Harry Potter's Hufflepuff though I'm not a major fan. After hinting to the husband that we should share a puffle ice cream for 2 weeks, we finally made it there after dinner on a Saturday night. It was packed with teenagers. I took the friendly staff's recommendation and went for the Iron Ice Puffle Creation #4 (USD 6.50). A decadent sundae comprising Cookies & Cream Ice Cream nestled in an original-flavoured puffle cone, topped with cookie & cream crumbs, mini M&Ms, cookie & cream Pocky sticks, chocolate drizzle and a light dusting of icing sugar, I couldn't finish it all on my own. I'm usually skeptical of Instagrammable food but the Cookies & Cream Ice Cream exceeded my expectations as it had a generous amount of chocolate sandwich cookie chunks and was rich without being too sweet. I also liked the fluffy core and the crisp crust of the warm egg waffle that was made to order. As far as Egg Waffles go, my heart still belongs to the charcoal-grilled Egglets from Tai-O in Hong Kong. I was addicted to Oreos, M&Ms and Pocky as a student so I took to the toppings like a duck to water. I enjoyed the Puffle Ice Cream and can't wait to come back for my next fix but first, I need to work off some of the weight that I've gained since I got here. 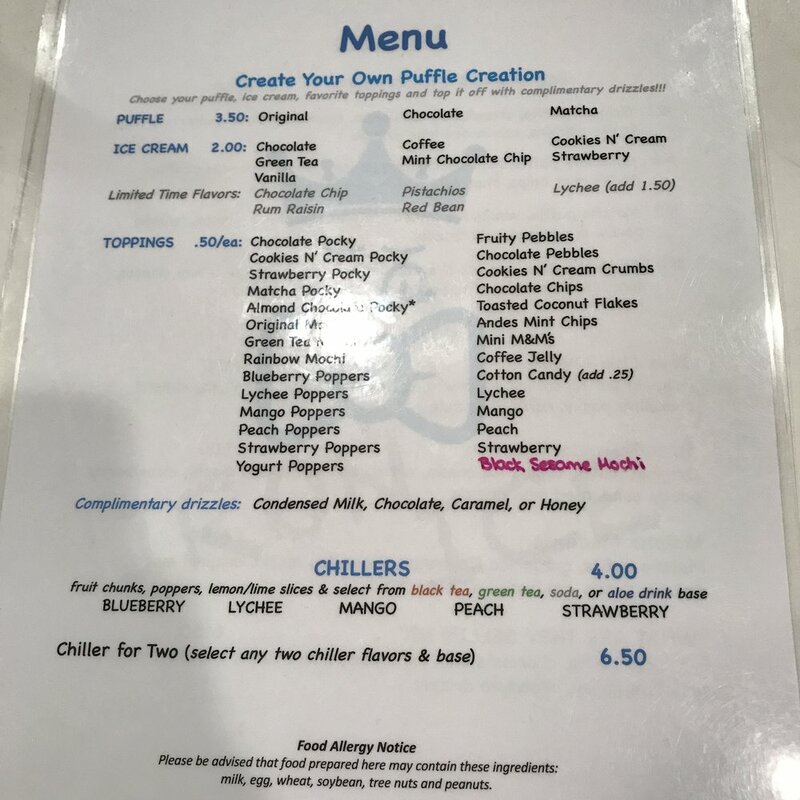 In addition to Iron Ice's Puffle Ice Cream creations, patrons can design their own puffle ice cream or get a single scoop. Puffle batter is available in Original, Chocolate, Matcha or Coffee. 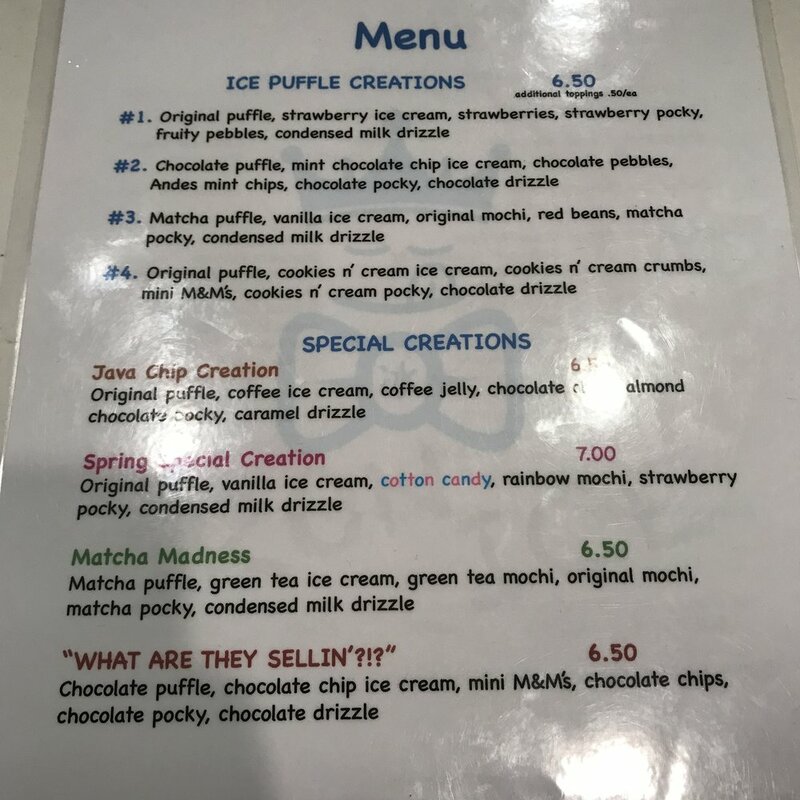 The husband got a single scoop of Lychee Ice Cream (USD 3.50) which seemed like a "light" option relative to all the other choices on the menu. 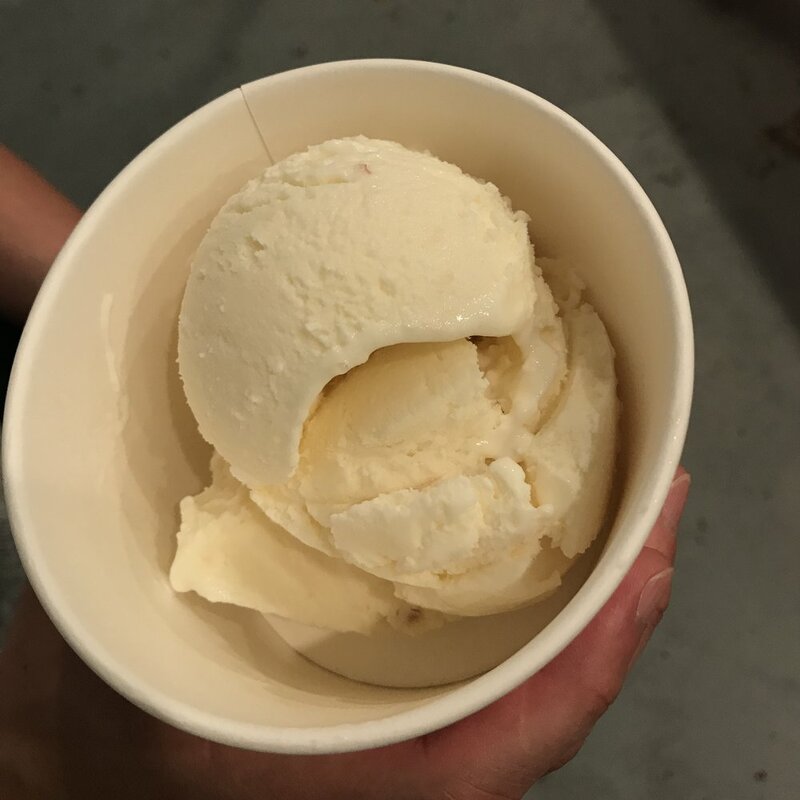 The lychee ice cream wasn't too sweet and had a lovely fruity flavour vs some versions where one could barely taste anything but sugar. NB: Scroll through the images to view Iron Ice's menu. PS: I had a similar dessert at The Coffee Academics (a Hong Kong-based chain of specialty coffeeshops) in Singapore. Check out the Signature The Coffee Academics Egglet with mango cubes, Hong Kong milk tea gelato & salted egg custard sauce if you're in Singapore. PPS: I don't know about you but the word "Puffle" makes me think of Harry Potter's Hufflepuff.